We advise and represent companies, their shareholders and executive bodies, primarily in the area of corporate law. Our particular focus concerns the law of stock corporations and corporate groups, transformation and takeover law, banking and capital markets law, as well as questions of compliance and corporate governance. Our expertise also includes commercial litigation as well as national and international arbitration proceedings; for example, for post-M&A disputes as well as issues of management and professional liability, including aspects of D&O insurance. Our advisory services are based on many years of individual experience gained in various functions and positions: As a partner in a leading international law firm, advising corporates. As the in-house counsel of a large international exchange-listed conglomerate, paving the way for major corporate decisions. As a litigation specialist in the assertion of national and international clients’ interests in complex disputes. Our law firm combines this expertise gained from a variety of different perspectives. Efficient and hands-on approach in the pursuit of success for our clients. We have deliberately kept our firm at a manageable size. This not only facilitates our handling of conflicts of interest but also enables us to provide efficient and unbiased advice, shaped by our personal proximity to our clients. At the same time, we maintain close personal relationships with leading practitioners in the fields of investment banking and communication consultancy as well as renowned legal academics and partners in leading law firms in Switzerland, Austria, Europe and the US. Born 1959. Legal studies in Heidelberg. First state examination in law, Heidelberg 1984, second state examination in law, Stuttgart 1987. Completion of doctorate as doctor iuris utriusque (Dr. iur. utr.) at the University of Heidelberg, 1990. Academic assistant at the Institute for Corporate Law (chair of Professor Dr Peter Ulmer) at the University of Heidelberg from 1985 to 1990. Partner at Schilling, Zutt & Anschütz in Mannheim until 2000. From 2000 to 2017, partner at Allen & Overy in Frankfurt. Since 2018, honorary professor at the University of Mannheim. Born 1958. Legal studies in Mannheim and Heidelberg. First state examination in law, Heidelberg 1983, second state examination in law, Stuttgart 1986. Academic assistant at the chair of civil law, employment law and trade law of the University of Mannheim (under Professor Dr Günther Wiese) from 1986 to 1988, completion of doctorate as doctor iuris (Dr. iur). From 1989 to 2015, position as in-house counsel for various major companies, most recently as the general counsel of many years’ standing at an international exchange-listed industrial group. Self-employed lawyer since 2016. During his many years as in-house counsel, Dr Anderson acted in a leading role for a large number of projects in the areas of corporate law, law of transformation and capital markets law. These projects also included a wide variety of mergers & acquisitions (e.g. of listed companies and cross-border) and the subsequent integration measures, complex corporate restructurings as well as the placement of equity and bond issues on the capital markets. In addition, Dr Anderson’s work centred around legal assistance to executive and supervisory boards, e.g. in connection with the conclusion and termination of executive contracts, the preparation and performance of general meetings as well as issues of compliance and corporate governance. Born 1980. Legal studies in Heidelberg and Geneva. First state examination in law, Heidelberg 2005. Second state examination in law and admission to the bar in Frankfurt am Main in 2007. Until 2012, lawyer in the dispute resolution practice group of Salans LLP in Frankfurt am Main. From 2012 to 2018, lawyer at Schmitz & Partner in Frankfurt am Main in the area of litigation and arbitration. Jens Stadtmüller specialises in complex commercial disputes. For the past ten years, he has been representing national and international clients in civil-law disputes and arbitration proceedings; in addition, he also acts as a party-nominated arbitrator. As a litigation specialist, he also regularly assists and advises, behind the scenes, on current and impending law suits (dispute consulting). The focus of Jens Stadtmüller’s work is on the areas of corporate and insurance law, banking and capital markets law as well as trade law. He regularly represents high-profile clients in matters concerning D&O liability/management liability and the professional liability of members of the advisory professions, such as auditors, tax advisers and lawyers. Jens Stadtmüller possesses broad-based expertise in assisting during internal investigations on issues of compliance and corporate governance. Global Chambers 2019 lists Professor Dr Hans-Christoph Ihrig as a recommended lawyer. The University of Mannheim has appointed Dr Hans-Christoph Ihrig as an honorary professor. The current JUVE Handbook 2018/2019 lists Ihrig & Anderson Rechtsanwälte as a recommended law firm. Ihrig & Anderson Rechtsanwälte expand their dispute resolution capabilities. With the appointment of Jens Stadtmüller, the Mannheim-based law firm with a focus on corporate and capital markets law gained an experienced litigator with effect from 1 August. Mr Stadtmüller has been focussing on litigation and arbitration proceedings for over ten years. He commenced his career in the dispute resolution practice group of Salans LLP (now Dentons) where he litigated, inter alia, banking and capital markets law disputes, including proceedings under the German Capital Markets Test Case Act (KapMuG). In 2012, he moved to Schmitz & Partner in Frankfurt, where he represented, among others, Telekom in a number of test cases brought by investors. One of these suits (concerning a second public offering) has already been concluded with binding effect. At the same time, Mr Stadtmüller expanded his litigation expertise in the area of professional and management liability, including D&O. Over the past few years, he has increasingly intensified his profile in the field of arbitration, primarily with a corporate-law focus in connection with post M&A disputes. Ihrig & Anderson advising RWE Supervisory Board on Innogy deal with E.ON. Professor Dr Hans-Christoph Ihrig has been advising companies – predominantly exchange-listed corporates – and their shareholders and executive bodies for almost three decades. Matters to which he brings particular insight and experience include corporate law, with a focus on the law of stock corporations and corporate groups, transformation law, capital markets law and the law of public company acquisitions. Professor Ihrig’s clients number a wide range of exchange-listed companies, including DAX-30 members. Boardroom advice, i.e. 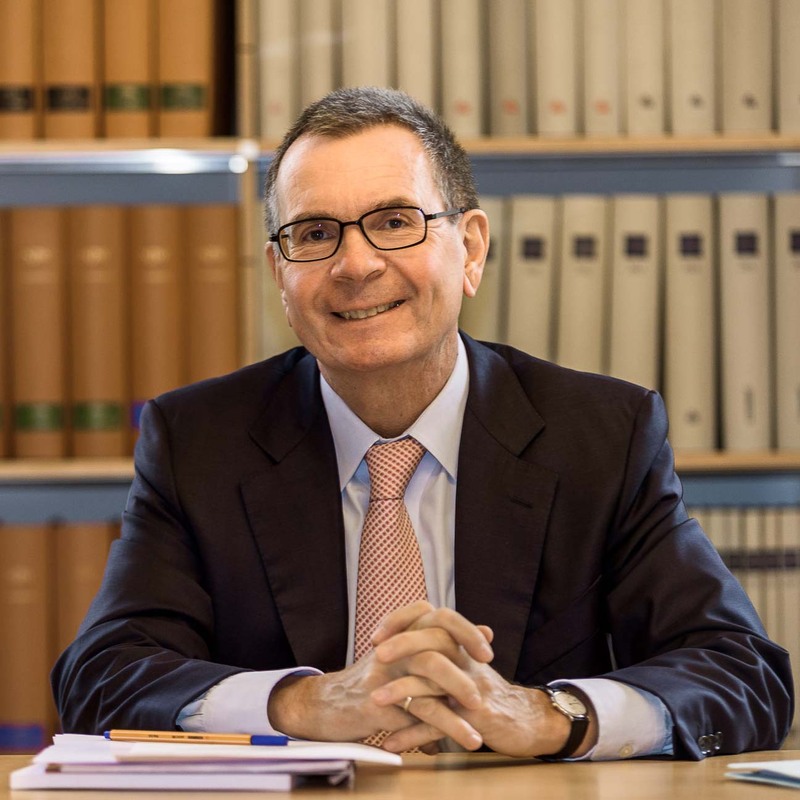 providing support to executive and supervisory boards within the corporate framework, particularly on questions of compliance and corporate governance and in connection with structural adjustments and major transactions, is an integral part of Professor Ihrig’s work. He also sits on the advisory board of a family-owned company. The relevant industry publications, such as JUVE and Chambers, regularly recommend Professor Dr Hans-Christoph Ihrig. JUVE, for example, has been listing Professor Ihrig as one of the leading senior partners in the area of corporate law for many years. In its “Best Lawyers” survey, the German trade publication Handelsblatt awarded Professor Ihrig in 2017 the distinction of being the lawyer of the year in the field of corporate law. Chambers Global 2018 lists Professor Ihrig in the sections “Corporate/M&A: High-end Capability” and “Corporate/M&A: Mid-Market” for Germany, in each case volume 2. Professor Ihrig is an honorary professor at the University of Mannheim and also teaches at the Mannheim Business School. 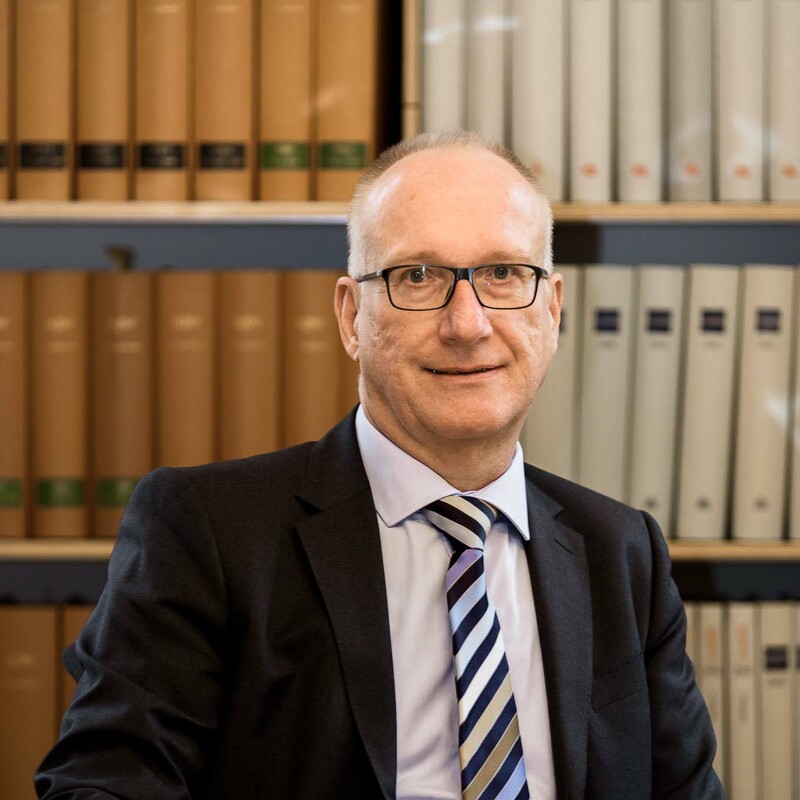 He is a long-standing member of the trade law committee of the German Bar Association (Deutscher Anwaltsverein) and has published comprehensively on commercial law topics (most recently, for example, “Wissenszurechnung im Kapitalmarktrecht – untersucht anhand der Pflicht zur Ad-hoc-Publizität gemäß Art. 17 MAR” (Attribution of knowledge under capital markets law – examination based on the requirement of ad hoc publicity pursuant to Art 17 of the MAR) ZHR 181  381 – 415. He also represents clients in national and international arbitration proceedings with a trade and corporate law background, with his main focus being on post-M&A disputes. In addition, Jens Stadtmüller has many years of experience in banking and capital markets law litigation on behalf of renowned banks and companies, including mass actions and proceedings under the German Capital Markets Test Case Act (KapMuG).